Posted on 16/09/2018 at 13:54. Hiking the Great Wall of China is a wonderful way to immerse yourself in the outdoors. Unlike walking on a treadmill or paved path, hiking the Wall involves more, sometimes unpredictable, variables. Of course, these variables are part of what makes it so enjoyable! As you plan your first trip to the Wall, use the following tips to make your Great Wall hike successful. The Great Wall features several different sections all geared at various fitness levels. Whether you are searching for an easy section, Mutianyu is ideal for beginner hikers. It is a fully restored section of the Great Wall that is simply magnificent to stroll along. In addition, there is a cable car that takes visitors directly to this portion of the wall. Jiankou, on the other hand, is a wild and rugged section that is best left to serious hikers. For the most popular sections of the Great Wall, stick to those within the Beijing portion. 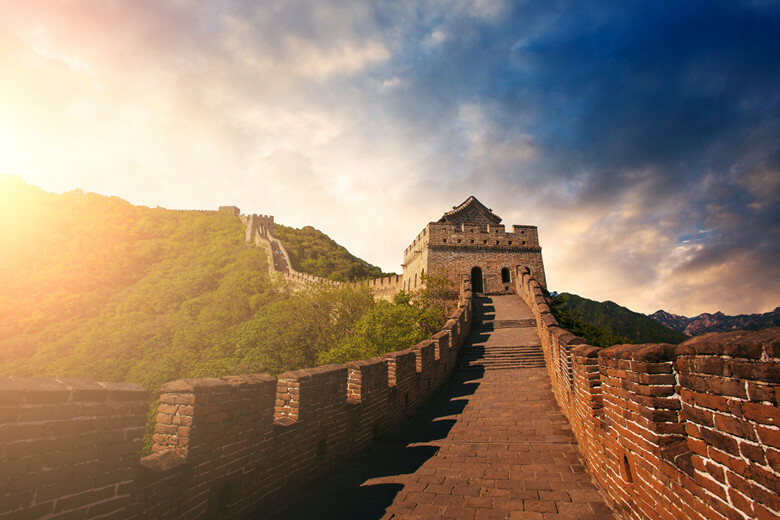 In total, the Great Wall of China measures 13,000 miles and encompasses many sections. 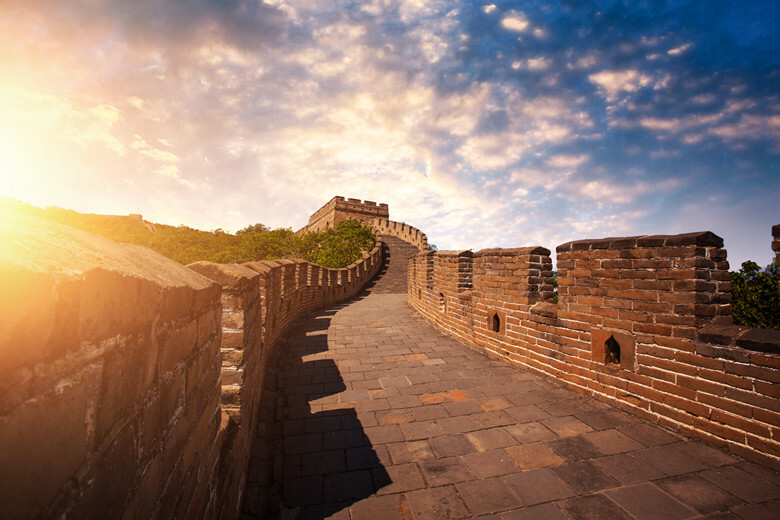 When visiting the wall, choose the section that you plan to explore before you arrive. That is because it can take three to five hours to walk between each section. Each section is in a different state of repair and condition. Learn about the section you’re planning to explore so you can fully appreciate everything the site has to offer. Thanks to GPS satellite technology, you can check the weather of the Great Wall of China from anywhere on Earth. Before you visit, make sure to check the forecast, especially if you are visiting during the winter season. Once you check the weather forecast, research the season when you are visiting. Based on this information, coordinate your outfit. Go for comfort, but keep your style in mind since you will certainly want a selfie…or 300. Four-season staples include trail shoes or hiking boots, as well as a light windbreaker to block the sun and rain. Sunglasses are also a year-round accessory when visiting the Great Wall thanks to the height of the structure. Let someone know back home, and at your local accommodations, about your trip plans. Include the exact section you are visiting or GPS pin for your location. Also, send them a text photo of yourself the day of the hike so they have a picture of the clothing you are wearing in case of an emergency. You can’t camp on the Great Wall of China, so there is no need to bring everything but the kitchen sink. Use a daypack that holds the essentials to avoid getting bogged down by weight. Great Wall hiking adventure is akin to going on a true hike. The wall is made from centuries’ old stone and stairs that create quite the workout for visitors. However, you aren’t going to find a fast food restaurant or cafe along the wall. Bring your snacks and plenty of water to stay hydrated and fueled up. Above all, as you hike the Great Wall make sure to stop and soak in the surroundings every so often. It can be easy to focus on the walk itself once you get into the zone. Yet, you want to remember where you are and give yourself the time to fully appreciate the experience for your first time.